She was 38 years old. She was innocently walking into her shift at the hospital on a Monday afternoon. An ex-fiancé approached her, they fought, he shot her in the hospital parking lot SIX times before he entered the hospital and shot three more people. The hospital where she worked tried to revive her, her colleagues performed CPR and life-saving measures to prevent her death, but to no avail. She was an Emergency Medicine Doctor. Although I did not know her, I feel as though she is like a sister, she recently became an attending, she was working in a busy urban ED. She is remembered as being extremely kind and compassionate. She could have been me. Her name was Dr. Tamara O’Neal, and she was taken too soon from a profession that needed her. We as a country have become so extremely divided on this issue of gun violence. We can’t even talk about it. It’s as if there is a difference in our thought processes as wide as the Grand Canyon. But. People keep dying. Families keep losing loved ones. Yet we haven’t found a way to have real honest and open discussions about the problem. The death of Dr. O’Neal came soon after an article was written about gun violence in The Annals of Internal Medicine. A non-partisan, thoughtful and extensive position paper about how we as a society can implement change to try and curb the public health crisis that is gun violence. It is an example of what we do as physicians, we care about the health of society, we want all to lead happy, thriving lives. What the NRA didn’t expect from their tweet was an outpouring of physicians who responded #ThisISOurLane. These doctors came from all different specialties, some gun owners, some not. Some who actively try to save patients on a daily basis, some who tell families their loved ones have died, some who do autopsies, some who manage the aftermath, of mental heath, PTSD, and suicidality that follows senseless death. Doctors all over the country responded and started a significant national conversation about gun violence. It is one of the most collective and vocal conversations we as physicians have been able to get on this topic. It has created a dialogue, which is exactly what we need, people on both sides of the issue recognizing that each of us is operating from our own biases but also being willing to look at those biases and being prepared to be wrong. I admittedly don’t know a lot about guns. I’ve seen a real one, I have touched one. I do not know what it is like to shoot one. I have been very anti-gun for as long as I can remember. Likely it has to do with my job as a pediatrician and knowing the risks of having guns in the home, and the number of deaths that occur when a small child accidently gets ahold of one, or the danger of the teenager who is having a depressing week and knows the combination to the gun safe. I work in a non-trauma pediatric ER, so my first-hand experience on the daily is non-existent. However, I did train in a place where gun violence was common. I learned a lot during my trauma rotation about the tragedy that is gun violence and often the feeling of despair when there is too much damage to fix, like what happened with Dr. O’Neal. I learned that we always count bullet holes as soon as they come in…you can then start to predict where the damage might be. A bullet, when entering the body is so hot it is essentially sterile, so if it lodges in a place where it won’t do any harm, like muscle tissue, we do not go and get it, as we can cause more damage that way. If a bullet enters the chest or abdomen, you hope it quickly leaves (entrance AND exit wound) because if not, the likelihood it has richocheted internally is high, and these wounds are much more damaging. Gun-shot victims die of blood loss. So the time it takes to get them from the scene to a hospital that can treat them is precious. The faster they get to the OR, the better chance at survival. If there is a mass casualty event, where there are multiple victims, there are more deaths. This is due to fact that the hospitals and the trauma surgeons fixing these bullet holes become overwhelmed, patients then have to wait to get treated, and many can die waiting. My experience is so one-dimensional. I realized this with a mild form of horror as I listened to a lecture at a conference I was at recently. At FIX18, two brilliant female physicians each from either side of the gun issue (one pro, one against) came together to talk about the things we haven’t been able to discuss as a society. Drs. Megan Ranney and Torree McGowan had an excellent lecture, they listened to each other and subsequently were able to recognize knowledge gaps, perception gaps and actually landed on the same page. They are also now leaders in researching ways to better contain and understand this major societal issue. I learned that I actually know nothing about guns. However, I also learned from the example of these two women that I have the capacity to listen. Others have the capacity to listen, even if it seems we are on opposite continents with our ideas. The sooner we start having real conversations about how we want our children to stop dying, our friends in their place of worship stop dying, our sister colleagues outside of their place of work stop dying, the closer we will get to a real solution that can actually benefit our entire society. 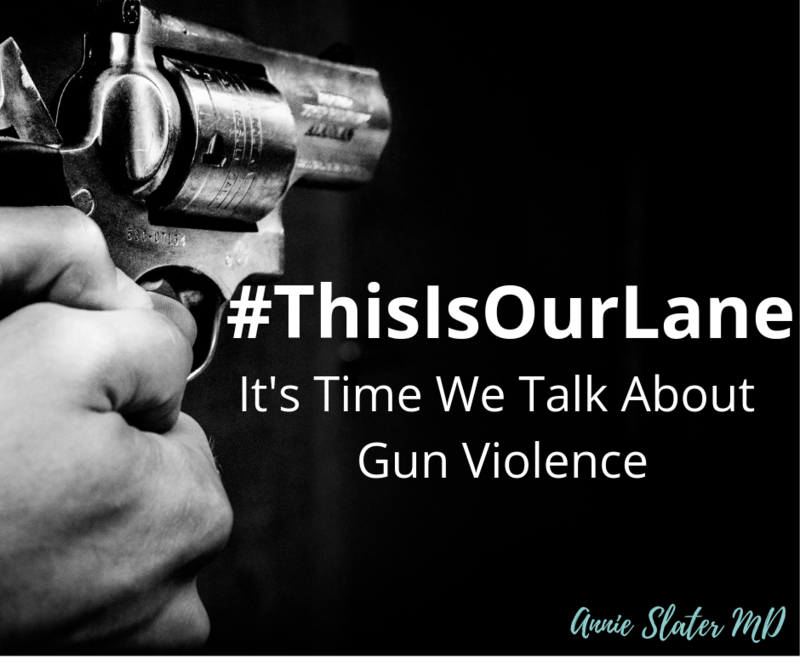 We need to not only start being willing to have the conversations, we also need as a society to be willing to see gun violence as the public health crisis it is. We can research it like we research car accidents and drownings, and infectious disease outbreaks. We can do so in a non-partisan way, truly looking for commonalities and patterns so then we can try and make safe laws to help our vulnerable while maintaining rights for those who want it. We need to befriend those on the other side, listen, try to get to a place of understanding. Rest In Peace, Dr. O’Neal. I believe that change is coming.